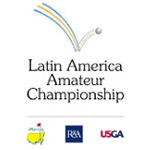 This year marks the fifth anniversary of the Latin America Amateur Championship, a tournament that debuted in 2015 with the goal of further developing golf throughout the region, specifically in South America, Central America, Mexico and the Caribbean. It was created by the Masters Tournament, R&A and the USGA. The LAAC will be played Jan. 17-20. The 108-player field, made up of the top amateurs from around the region, will be competing first and foremost for an invitation to the 2019 Masters Tournament. Also on the line are full exemptions into the Amateur Championship, U.S. Amateur Championship and any other USGA amateur championship for which the winner is eligible. In addition, the winner and the runner(s)-up will be exempt into the final stages of qualifying for the Open Championship at Royal Portrush and the U.S. Open at Pebble Beach. Casa de Campo’s Teeth of the Dog course in La Romana, Dominican Republic becomes the first course to repeat hosting duties in the event’s short history. Back in 2016, the last time the LAAC came to Casa de Campo, Costa Rica’s Paul Chaplet narrowly won the title over Venezuela’s Jorge Garcia. Both players return this year to give the title another go. “This tournament, it’s our one chance of the year to be on TV, to show the world what you’re capable of doing,” said Garcia, the 22-year-old senior at Barry University in Miami, Fla. In five years, no player has added a second title to his haul. The 72-hole event begins Thursday Jan. 17, with the winner crowned Sunday Jan. 20. AmateurGolf.com will be on site all week providing coverage. The championship’s high-definition broadcast includes two hours of live coverage on each of the four competition days. ESPN will provide event coverage in this year’s host country, as well as throughout Latin America. Other broadcasters include ESPN2 (United States), Fox Sports (Australia), SuperSport (Southern Africa) and TSN (Canada). All of the coverage will also be streamed live on the official event website, LAACgolf.com. The broadcast’s English-speaking commentary team features Rich Lerner as host, Andy North as analyst, Dottie Pepper and Paul Gow as on-course reporters, and John Sutcliffe handling interviews. First round: Thursday, Jan. 17: 4-6 p.m.
Second round: Friday, Jan. 18: 4-6 p.m.
Third round: Saturday, Jan. 19: 12-2 p.m. Final round: Sunday, Jan. 20: 12-2 p.m.
Championship highlights will air on Sunday, January 20, following the completion of play.